Looking to buy a Chihuahua? Ralph, 1 year old Long Coat Male is looking for his new home, Very specific home required, his new family will need to be calm and quiet and patient - Ralph is best with a single lady as he has not really taken to males in the past. cost is $500 - Pictures belowRalph is a gorgeous soul, but he is quite nervous. Ralph was placed into a wonderful home last year with a lovely husband and wife, and unfortunately even after 3 meetings he took an instant dislike to the husband (who was lovely) and would not come to him at all. They returned Ralph to me, and he has settled into life at home well, but is now unsettled when you go to pick him up. He tends to crouch down and you have to pick him up rather than him jumping up to you.He isnt house trained and it will take some work to teach him this, as being timid you cant just tell him off all the time. The good things about Ralph....He is a very cuddly boy once he knows you. He looks right into your soul with his big lustrous eyes, and he is very healthy and well structured. He is good with other dogs 1 on 1 (after the initial introduction) and would probably be very good with another small dog. If you feel that you have the right home for these litle Mexicans and are genuinely interested email Kylie - [email protected], or call/text 0413 278 852 and provide some information about you and your family. - If you would like to be on the list for a future Voncronan puppy, please email me your details and some information about yourself. 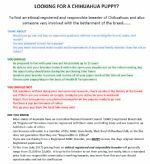 Cost includes desexing, full set of vaccinations, microchip, Pedigree, and the knowledge that you are purchasing from an ethical, genuine, responsible & reputable breeder. Take the time to do your research, where has your puppy come from? Do the people you are thinking of purchasing from breed for a specific reason? Will they welcome you into their home? - stop the puppy farmers!!!!! All of our babies go to their new homes between 3 - 4 months of age after their full set of vaccinations and de-sexing. This ensures the health of the puppy and means that all the “Maintenance” visits to the vet will not need to be carried out for another 12 months (approx 15months old) when the puppy is due for its booster vaccination. Please include what area of Australia you are enquiring from. 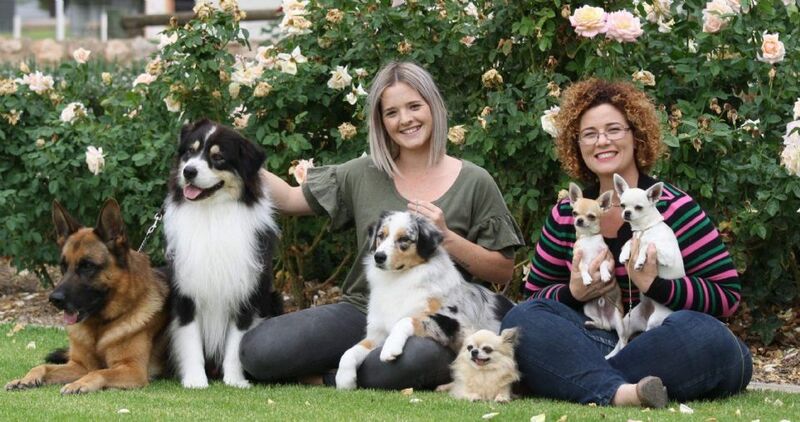 Please keep in mind, if you are enquiring from interstate, puppies will not be available to their new homes until they are 4 months of age to ensure full recovery from de-sexing. This is NON NEGOTIABLE!! Just like purchasing something for your home you need to be educated in what you are buying. The commitment to adding a Chihuahua to your home is a life decision, you need to ensure that you research the breed and breeders to make sure this is the right choice for you and your family. What are you Paying for when buying a puppy? 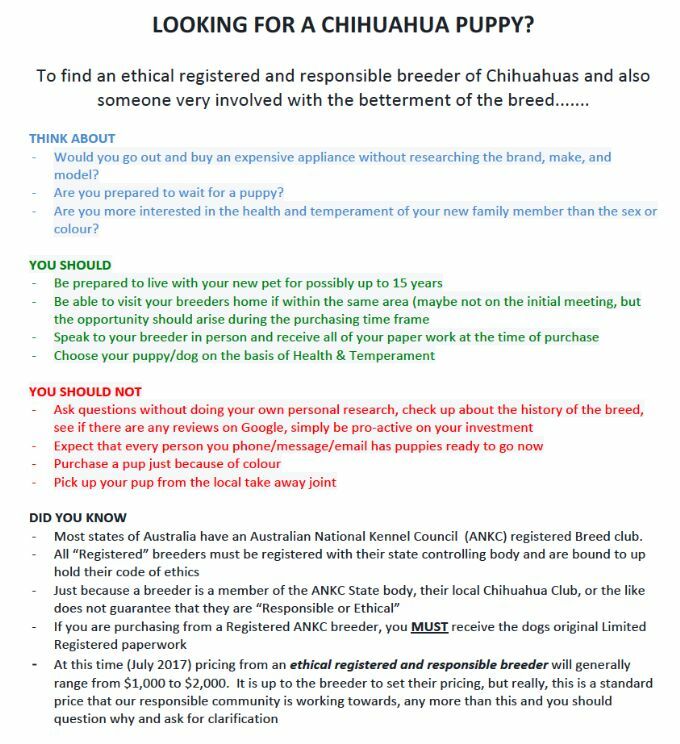 It was recently bought to the attention of the pedigree dog world a 'breeder' selling X-breeds for over $2500 a pup..yes really. Many of us were shocked and saddened. SO I thought I would compare costings from the 'Boutique Breeder' to an ANKC breeder so people can really see what they pay for.. I have nothing against a cute x-bred but why not pick one up at the pound/RSPCA for under $500, desexed and ready to be well loved! Sadly the phenomenon of "Hybrid Vigour" is a marketing ploy used very very well. Yes, Purebreds get ill, have faults, need vets too...but at least we TRY to do our very best to breed a healthy, sound and long living pet. Anything bred on a large scale...I know where I would prefer my puppy raised...not in a building with numerous other "maternity areas" (These are STILL Puppy Farms, only they adere to all the rules and regulations and are clean and fairly well maintained. 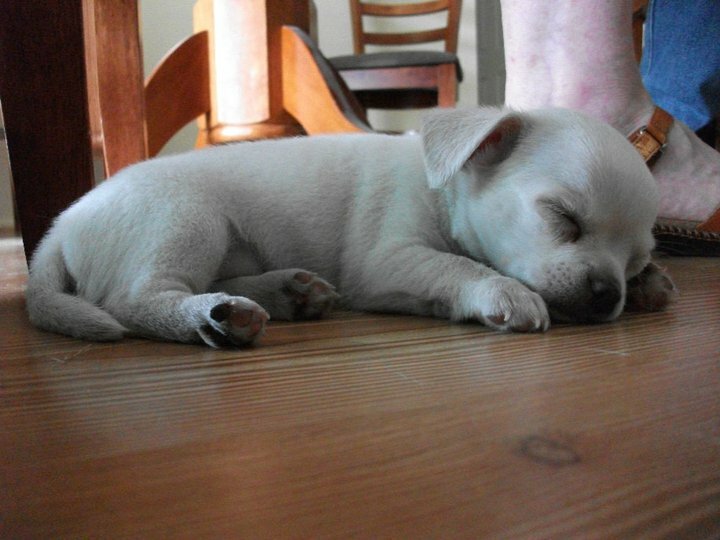 However, pups do not get the one on one and normal home situation environment like they do with a small scale breeder. Breeding is NOT for profit. We do it because we love our breed, our hobby, our passion. *Imports (my size breed) $9 -$15,000 for buying, vet, quarantine, shipping etc..
*Time..LOTS of it (over 5 months from time of stud to the time the babies go to their new homes) to raise, handle, love, socialise pups. *A dog that will grow into what it actually is. *All/Most litters are sired by the same sire..
*Unknown heritage, or if known are usually bought as 'family pets' from breeders who spend years researching pedigrees. You tell me what you would rather buy? So before you try to 'negotiate' price with a registered, ethical breeder, please think about the time, effort, love and money we put into OUR breeding to do the very best we can. Would you pay for a $1800 TV or Fridge or Car without doing your homework?? Why would you buy a puppy for this much without doing your home work?? ?